I can’t believe the Super Bowl is this Sunday. I lose track of time when events happen at the first few days of a new month. I’m still on January time and February starts this Friday. 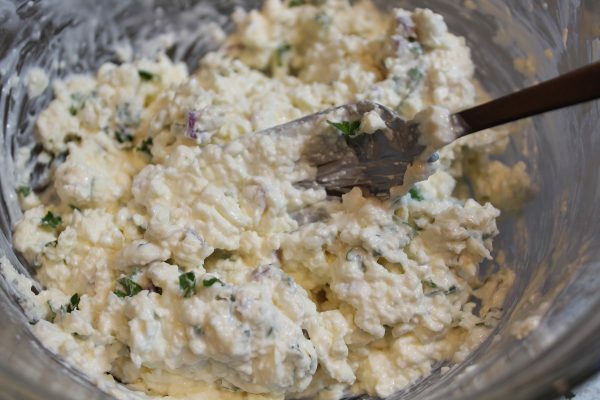 So, if it is Super Bowl Sunday, that can only mean one thing; It’s time to haul out all the dips and spread recipes we’ll be serving on game day! 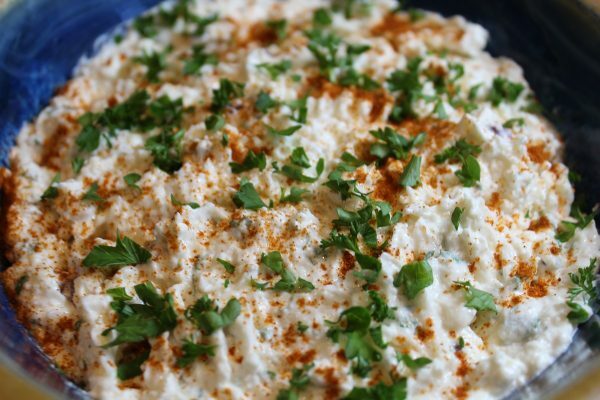 We, who love all things seafood have a special affinity for this scrumptious dip. 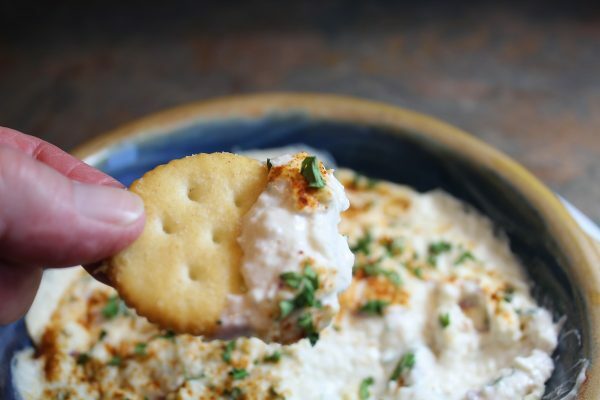 Washington State is famous for Dungeness Crab which are the most delicious crab you will ever eat and right now I wish I had some tucked away in the freezer to use in this savory crab dip. But, I do not and not many folks do, so we’ll just go ahead and make do with a can of good quality crab meat. 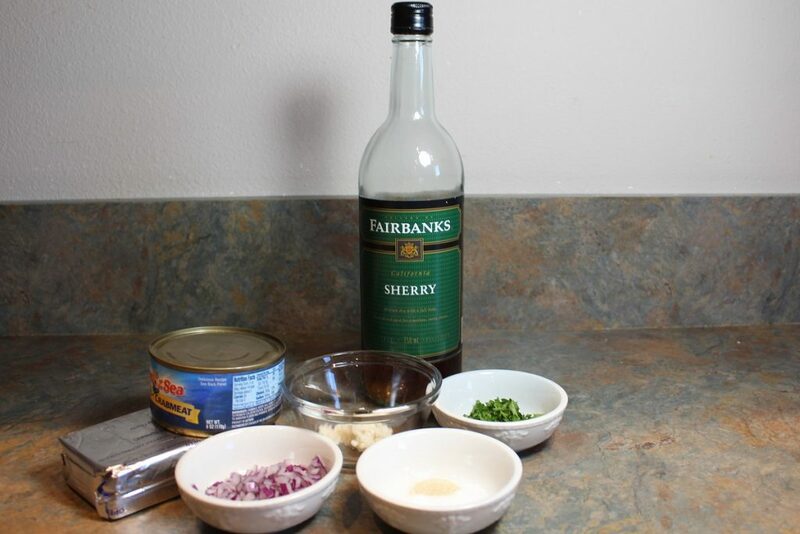 This dish will still be fabulous and enjoyed by all who love crab. Ready? 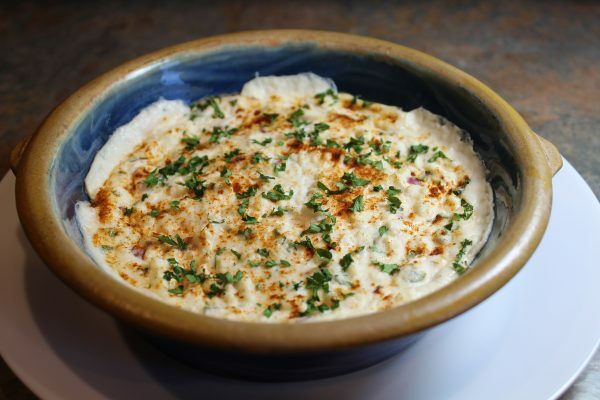 Let’s build us some awesome Crab Dip! Rich and creamy with lovely bites of Crab meat, tiny crispy bits of Onion and a bright note of Parsley, what's not to love? This goes together in mere minutes and is ready to serve hot from the oven in 20 minutes. 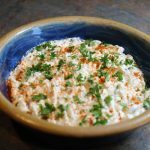 You can make this dip a day in advance and bake it on game day or bake it, refrigerate then re-heat in the microwave if you wish. I love a pretty picture so I use Red Onion and lots of minced Parsley not only for taste but for presentation. Just before baking, I sprinkle on Paprika and more minced Parsley for a pop of color. Sparky loves it on his favorite buttery rich crackers. So simple! There's nothing to it. 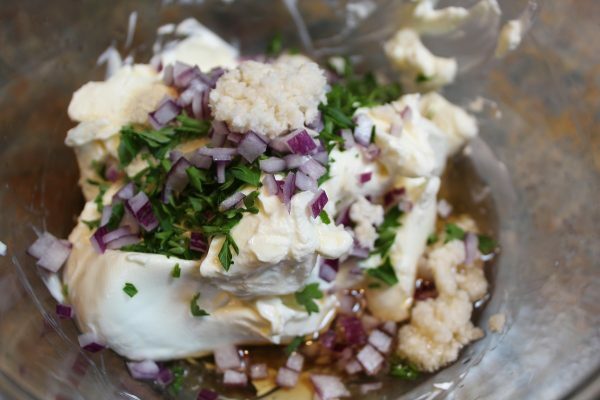 In a medium size bowl put in the softened Cream Cheese. Then add all the remaining ingredients. Mash it all up with a fork. Spoon the mixture into a lovely ovenproof casserole dish. Sprinkle with Paprika and minced Parsley to make it pretty. Bake at 350° for 20 minutes until hot and bubbly. Dig in using your favorite cracker. Sparky loves his rich buttery crackers. * Note to self: Hire a hand model for these close up shots.....or not. Enjoy! Whether it's Super Bowl Sunday, or just a snack for you and your family....or just you ( I like that idea! 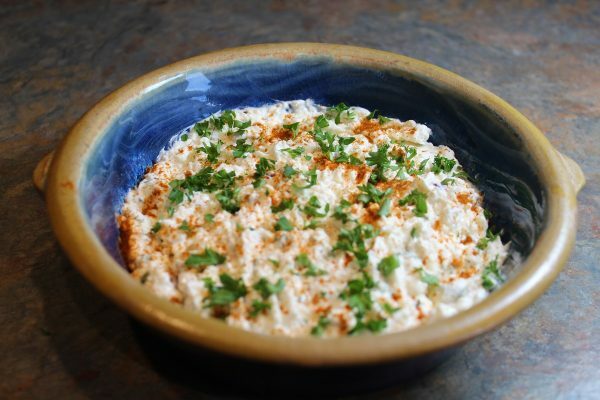 ), I hope you'll be loving this easy to prepare and absolutely divine Crab Dip!